Like or loathe card games, there’s no denying that rummy is universally loved by millions of players from across the globe. The game itself can be enjoyed by people of all ages, from any background and in any setting. What makes rummy more attractive as well, is its simplicity and easy-to-follow rules which take minutes to memorize. There are many variations of rummy which are typically tailored to the area that it originated, which in turn, gives players more choice when playing the famous game. Staying on the topic of origin, it’s hard to pinpoint exactly where and when rummy was first played and invented. However, it is widely agreed and accepted that rummy evolved from Conquian, a game that was native to Mexico but also played in Spain. The game was soon introduced to the Americas via Spanish explorers, and began to evolve and gain popularity throughout the 19th century. Although, it is also believed that Conquain was derived from an ancient Chinese card game called Khanhoo, which inspired the idea of rummy. According to games scholar David Partlett, Conquain is considered to be ancestral to all forms of rummy but it would be fair to assume that rummy took plenty of influence from the Chinese versions. Rummy takes up many different forms but perhaps the most popular are Indian rummy, gin rummy, Shanghai rummy, 500 rummy and dummy rummy. Furthermore, basic rummy is commonly used for those who perhaps are still new to the game and want to trial it in its simplest form. Indian rummy is unique in the sense that the four jokers are very prominent in the outcome of the game, whereas in gin rummy, the ace cards are of low value where typically they can be valued as high or low cards. 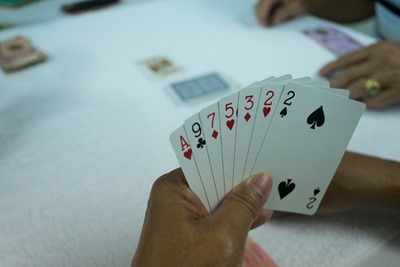 The Shanghai version also has some differences that European players might not be familiar with, two decks of cards are used with the players taking 11 cards each (Indian rummy is similar but uses 13 cards across the two decks) and you have the option to ‘buy’ cards in the discard pile. In the modern era, all versions of rummy are widely available to enjoy online with a variety of different variations available. Although it’s hard to ignore the traditional way of playing rummy with a friend, playing online means you can play wherever and with whoever. Ever since its invention and subsequent evolution, rummy has captured the hearts and imaginations of millions of people from all walks of life and will continue to do so for years to come. 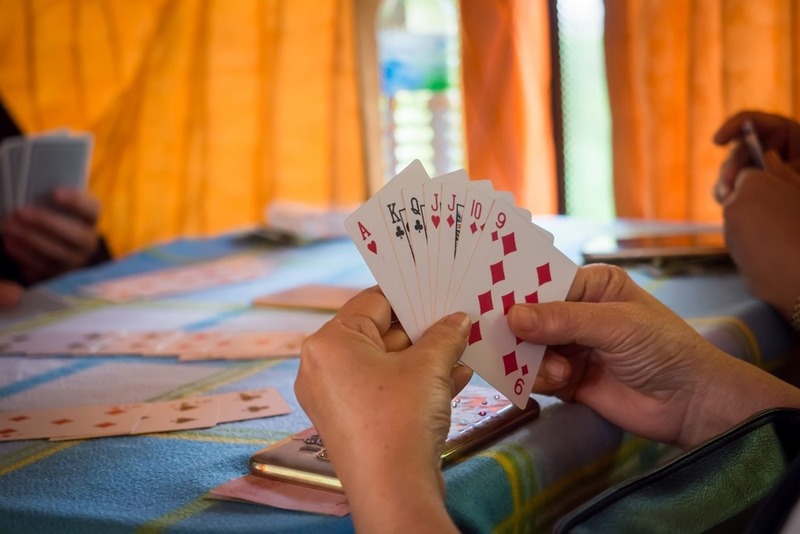 Similar to poker and blackjack in terms of popularity but unlike in other ways, rummy isn’t traditionally played for financial gain but for the pure fun and enjoyment. Perhaps it’s this that makes rummy so universally welcomed by people of all ages, but for those of you who are looking for an alternative to the legendary card game and be in with a chance of winning a few quid, check out Age of the God’s right here, to be in with a chance of winning the £250,000 jackpot: https://casino.paddypower.com/game/age-of-the-gods-cptn.